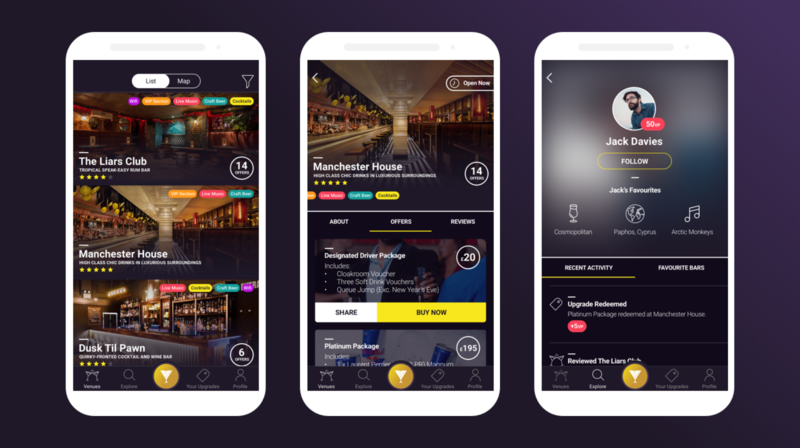 Design an app that enhances people's nightlife in and around Manchester. This project involved the UX and UI design of the hybrid mobile application, along with the UI design and build of a website based on Craft CMS. 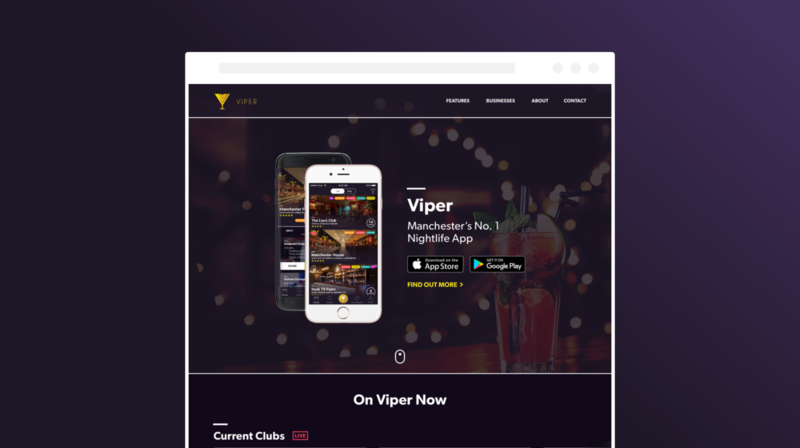 As a secondary part of this project, we also designed and built an admin web application which the app admins and bar owners could log in to, allowing them to edit their bar's profile and upgrades. Broadly, the app has to be the ultimate nightlife concierge. It needs to look premium, get people to the bars, and also handle the purchase of 'upgrades'. Upgrades - essentially, queue jump, drinks packages, and Viper exclusives. These are one of the app's killer features. Once you have purchased an upgrade, you're provided with a password, and then the clock starts. You might have 2 hours to get to the bar before your offer expires. This mechanic drives custom right to the bars when they need it. This is the beating heart of Viper. 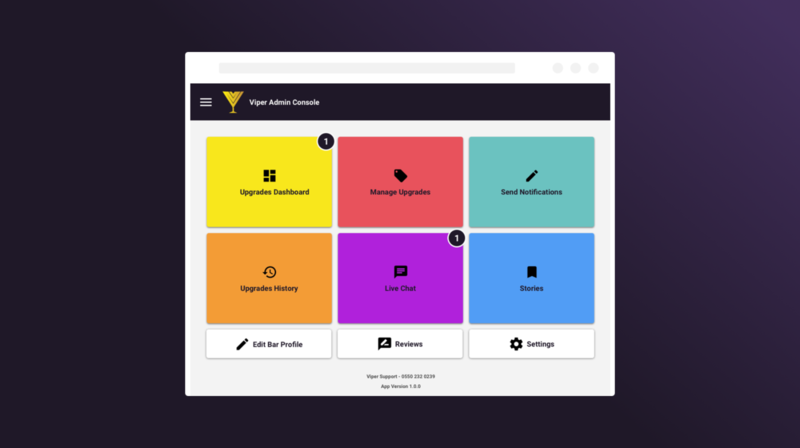 Built using Google Firebase tools from the same backend as the app, this is what bars use to administer their reviews, profiles, upgrades, and chat to customers.